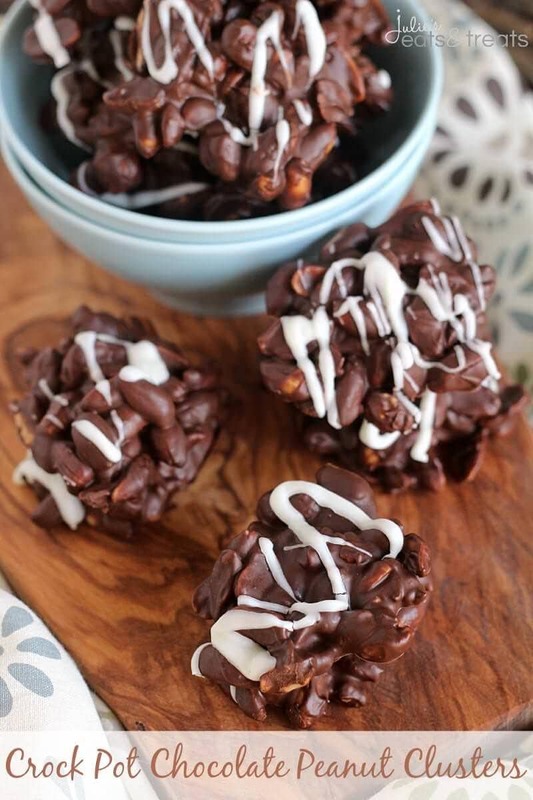 Crock Pot Chocolate Peanut Clusters ~ Only 5 Ingredients in these Easy Slow Cooked Sweet Treats! So today is going to be a sappy post about how absolutely amazing my hubs is. In the way of I’m am so dang lucky to have this man and how did I get this blessed. We welcomed Miss Rylin into our lives a little over a week ago and we have been so blessed. We are adjusting as all families do with a new addition, but it’s been amazing. I’ve also been super blessed that my hubs was able to take a week off over work (thank Mr. Bossman!) and he has been busy at home. First he took care of all three of his girls while I got back to feeling “normal”. Let’s just say as normal as a mother with a newborn can get. Plus he had Miss K to tend to since she has been a stage 3 clinger to one of us at all times. Don’t worry. I get it. It’s a huge adjustment for her and we’ve been trying to focus on her too. Plus he’s been taking care of Miss Rylin. Seriously this dude is a rockstar. Want to hear about how many dirty diapers he’s changed? Let’s just go with that face that when I went in for the baby’s first check up a few days after we were discharged and had to change a dirty diaper I fumbled. Fumbled majorly and then I looked at the nurse guilty and said uhhhhhh Dad’s been doing this. That’s right. I think I had changed about 2 diapers in the first 5 days of this child’s life. Then let’s talk about how one day I looked over in the kitchen and him and Miss K were making cookies. Like not as in the we bought the dough in the grocery store and broke up the cookie dough pieces but as in homemade cookies. Well, they were the jar cookies, but still this dude is awesome! Or the one day I went to take a nap while Miss K caught some zzzz’s and Rylin was sleeping and woke up to all the toys picked up and the house half way in order. And then I left for a massage… Sigh. I think I just fell in love with this man all over again. And he leaves me tomorrow. Back to work he goes. I sorta, kinda want to freak out and hyperventilate. So I called my Mom and said to expect us for guests tomorrow morning. I’m just going to ease into this whole staying at home thing with two children. Do you blame me? 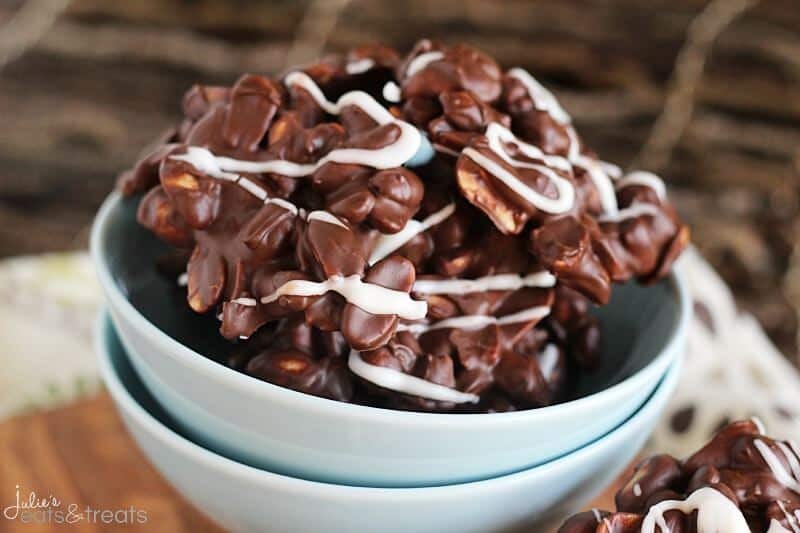 Now since I don’t want much time, if any, in my life I need quick and easy snacks for Christmas like these Crock Pot Chocolate Peanut Clusters. Dump the ingredients into your slow cooker and stir a few time, drop onto the wax paper and you are done. That’s how much Christmas treats are going to be this year and no one is going to mind because they still taste amazing!! 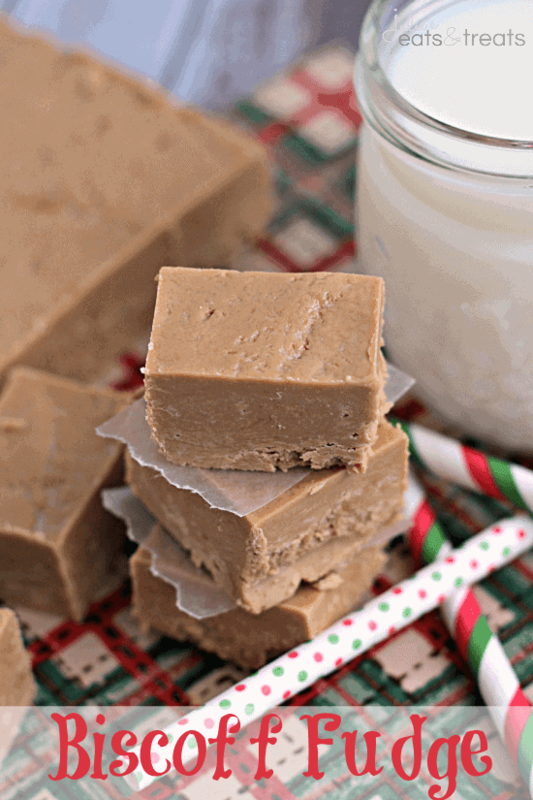 Only 5 Ingredients in these Easy Slow Cooked Sweet Treats! Put all ingredients in slow cooker and mix. Cover slow cooker and cook on low for 3 hours. Turn off slow cooker and let stand for 20 minutes. Stir mixture until chocolate is smooth. Melt white chocolate chips in microwave. 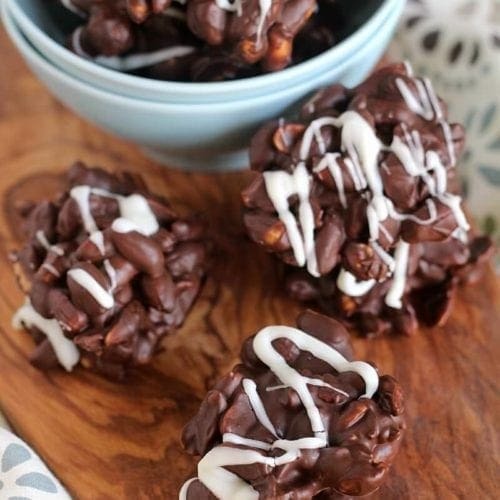 Drizzle over clusters. Let clusters cool. 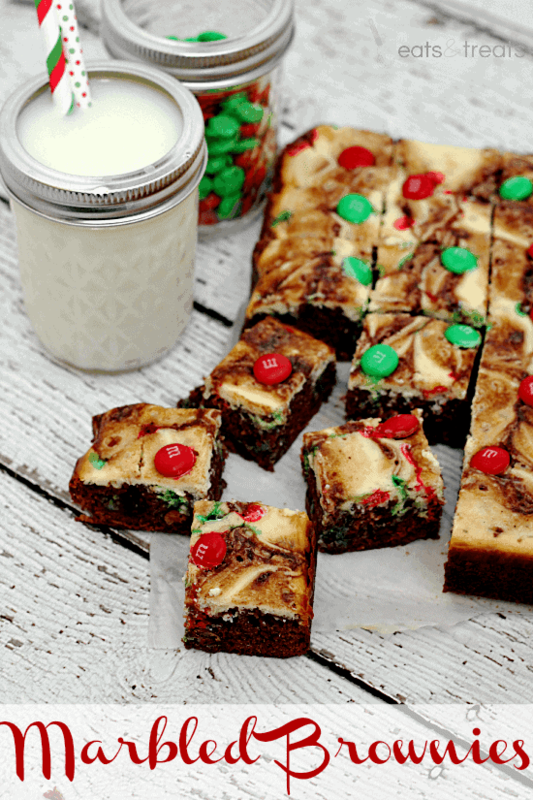 Marbled M&M Brownies ~ Chewy brownies layered with cream cheese and topped with M&Ms! 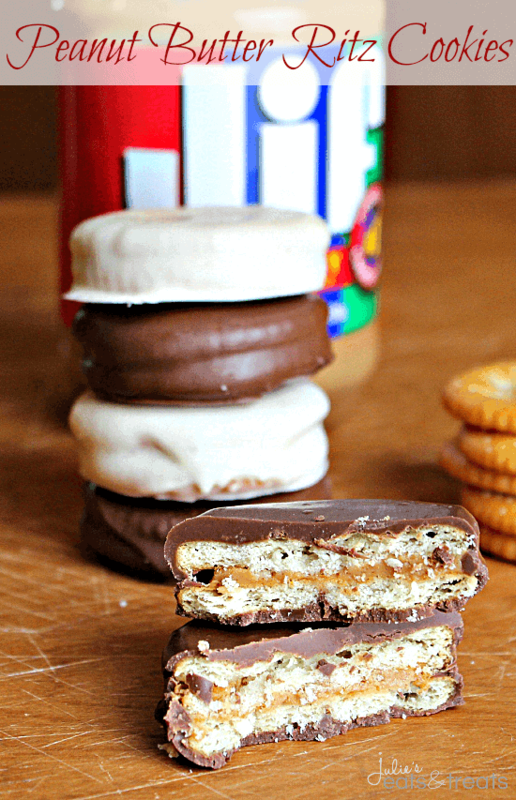 Peanut Butter Ritz Cookies ~ Our FAVORITE treats for the holidays! So easy too! It’s usually by the peanut butter spreads! Congrats on the arrival of your new little one. Enjoy being a mama of two – it’s a blast! Your husband sounds amazing, Julie! It’s so wonderful to hear that he’s pitching in so much to help you out. Sad face for him having to go back to work. But at least that gives you one on one time to bond with little Rylin! Btw, these peanut clusters are totally rockin my socks right now. Whatever that means. It sounded cool, lol. These look great! Love that you make them in the crock pot too! So glad you all are adjusting well with the new baby! And definitely take all the help you can get and ease into staying at home with both of them 🙂 Glad your husband has been a big help! Aaaw, hope you are all adjusting well and enjoying your new family. So glad your husband has been helping out so much – he sounds like such an amazing husband and dad! It’s sad when they have to go back to work 🙁 Hope you are able to ease into a routine that works for you all 🙂 Love easy snacks like this to have one hand, making it in the crock-pot is such a great idea! It looks mouthwatering! I LOVE peanut clusters. 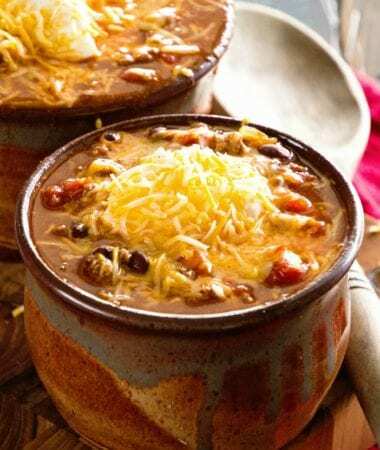 Totally craving many of these to devour right now, they look SO delicious and I love that they can be made via crockpot!